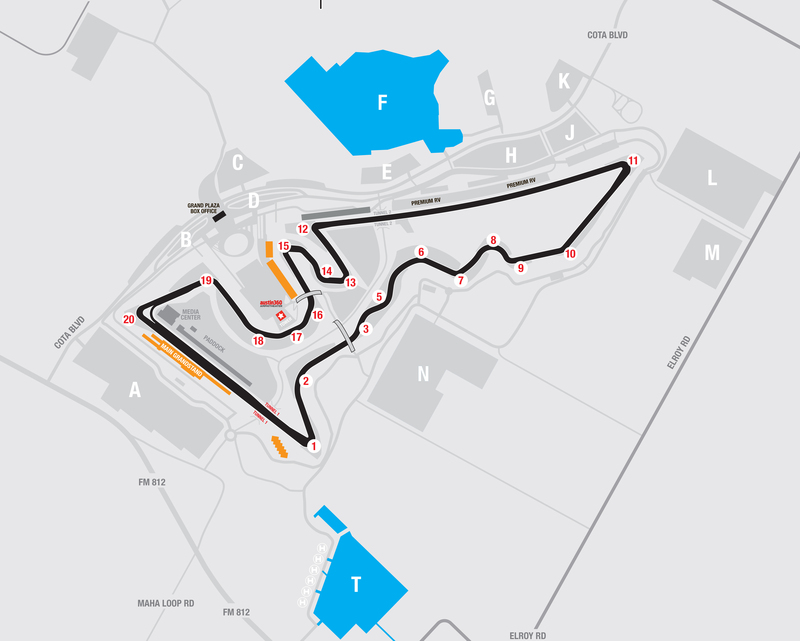 Limited on-site parking is available in lots located throughout Circuit of The Americas. Featuring paved, grass or dirt surfaces, there are plenty of choices close to your seat. But hurry, these options sell out quickly. Advance parking is available online at a discounted rate. Cash parking will be available on Friday, Saturday, and Sunday in Lots F and T as space allows. We recommend purchasing your parking in advance if you are planning to drive. PLEASE NOTE: Taxis, limos, and ride-shares will be permitted to drop off and pick up passengers off at Piland Triangle off of FM 812. Free bicycle parking is provided on-site during motorsport events. 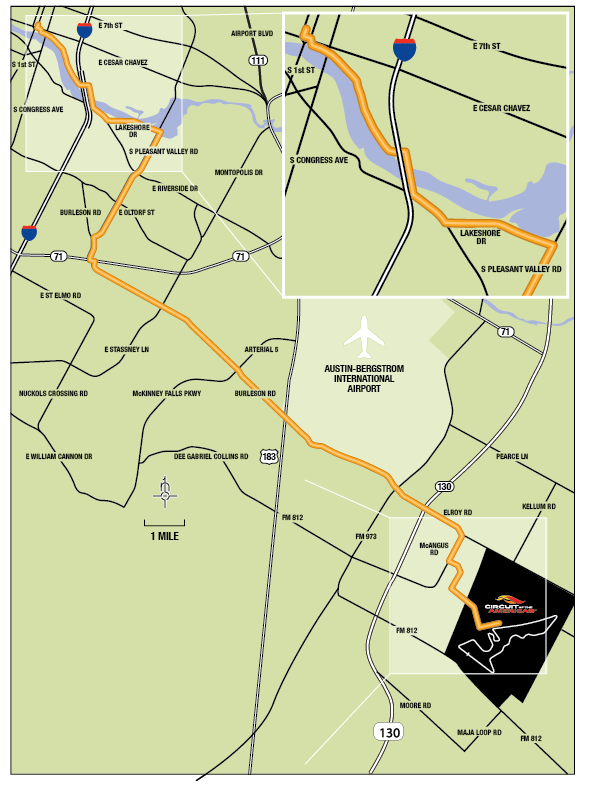 COTA can be accessed by bike route 72: Burleson Road to Elroy Road to the drop off area on McAngus. Cyclists can park and secure their bikes in Lot C or the pedestrian bridge over COTA Blvd. Please see this map for a detailed route.